Norton County is one of the northern most counties in the state, and contains the cities of Almena, Clayton, Lenora, Norton, and Edmond. The county was founded by Noah H. Billings, Thomas Beaumont, Henry Gordon, P. Hansen, and George Cole on August 22, 1872. The organization of the county, however, was premature and fraudulent, orchestrated by H. B. Billings who falsified population statistics and then fled the county. This prompted a county seat war that was not ended until 1878 when Norton became the county seat. The county gets its name for Civil War soldier Orloff Norton, who was killed at Cane Hill, Arkansas, in 1864. The first congregation was Norton Presbyterian Church founded August 16, 1874. The church building was erected in 1879. The first county fair, although not official, was held in Leota in October, 1878. After 1900 the fair was held yearly in Elmwood Park in Norton. 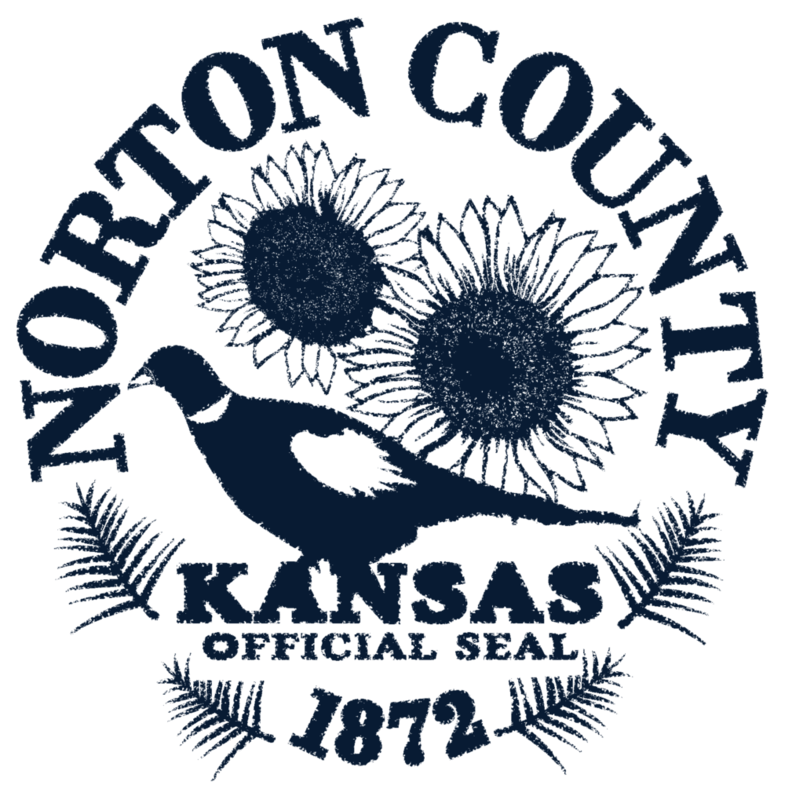 The first school district was formed in Norton in 1872. School was held in a dugout beginning December 1, 1873. On February 20, 1933, people in Norton and Decatur counties felt a moderate earthquake. Buildings and houses swayed and dishes and windows rattled. The earthquake was felt across a 6,000 square mile area in Kansas and Nebraska. The county has produced three remarkable Kansans. Noah H. Billings was an early county settler, county superintendent of schools, county attorney, and state representative. Ida Walker was the only woman elected state representative from the county, serving from 1920 to 1922. Keith Sebelius served as a U.S. congressman from 1969 to 1981. See Kansas Counties database for statistics in the county. Search the National Register database for historic sites in the county. Read more about the High Plains region where this county is located. The Norton Public Library has bound newspapers of the county, census on microfilm, and published histories of the county. Also available are genealogical records, and the federal census for 1880 and 1900. See more photos and illustrations of the Norton County Courthouse by visiting the website CourthouseHistory.com. The button below is a direct link to the gallery of postcards of the Norton County Courthouse through the years. What is the the median age of Norton County residents? What industries are in Norton County? Diversified manufacturing including aerospace material handling, agriculture, and medical. What is the main recreational attraction in Norton County? Norton County is home of the Keith Sebelius Reservoir and Prairie Dog State Park, which hosts 200,000 visitors annually.